Before the first snow is falling on the mountain pastures and the daylight disappears too early, it has come the time, where the cows, sheep and goats have to leave their summer paradise on 2,000m. This traditional happening is called transhumance festival. Every year, during the first days of October you can see this spectacle in Gsies valley. Every farmer is very concerned to show off his beautiful animals and so before the festival the farmer has to wash and prepare the cows and goats. Normally, always the biggest cows get some special accessories. They wear lovely adorned crowns and big noisy bells. But not only are the animals a part of the festival, also the villager itself. They come with their traditional clothing and they offer different spicy and sweet gastronomic specialties, like the famous “Niggilan”, “Tirtlan” and “Strauben”. 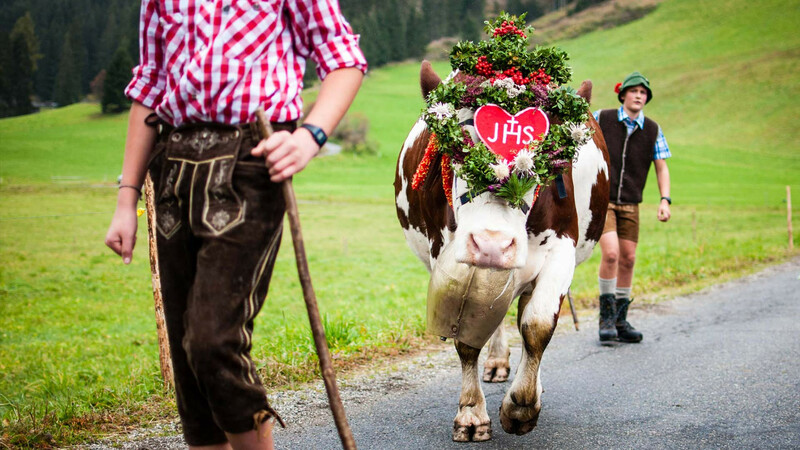 So, don’t miss the event next year and come with us to experience the traditional South Tyrolean transhumance festival.